This company was inimitable store house of energy and dynamism of Late S. Kirpal Singh Sethi who had a vision of quality, innovation started as a small unit and it is a result of collective affords of all its directives that the company is expanded in its present shape of big empire. The contribution for the upliftment of the company being made by the highly qualified sons of the directors is exemplary. Their joint efforts and their maximum emphasis on 'quality above profits' which won the enterprise a loyal clientele encouraged by the response in the domestic market, the company's management decided to explore the international market. Now they are doing 100% export and are exporting to more then 40 countries where the demand of their products is tremendous. This company has latest machinery and owns fully equipped laboratories provide customers the quality products. The products are perfectly being designed and made according to international standard and specification. Starting form raw material selection up-to the final finished products, its product are manufactured under stringent quality control test. Thus ensuring that each and every product of embodiment of engineering perfection. GEE TEC have manufacturing base in India, with the most advance machinery and testing equipments. 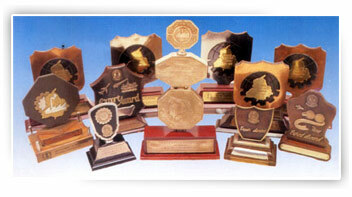 Also we are able to manufacture quality products at keen prices due to low labour cost in India. So our product are accepted all over the world not only for quality products but also due to keen and competitive prices. It always emphasize on quality management as a result in no time they have got ISO - 9002 certification clearing all the inspection in schedule time. And above all the company has a natural flair for anticipating a brighter future for all times to come.